Pneumonia is a form of acute respiratory infection that affects the lungs and it is the leading cause of illness and death in children worldwide. Pneumonia can occur at any age, but it is more common in younger children. The etiology of pneumonia is often difficult to identify and the diagnostic criteria is based on corroborating epidemiological, clinical, laboratory and radiologic investigations. 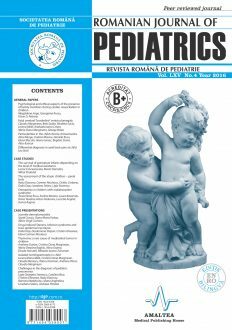 The authors present three cases diagnosed with pneumonia at different ages, underlying the clinical, imagistic and evolutive particularities.